Purchasing a house is one of the biggest steps in your life. Once you’ve started to angle in on a home, you’re going to feel an intense amount of pressure to close from the real estate agents and the seller. Shouldn’t you have someone looking out for your interests? 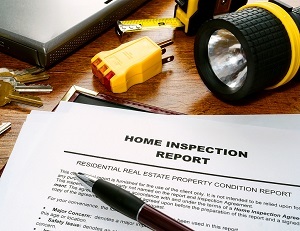 A home inspector is there to make sure the home you are being sold is the home you’re getting. Getting a home inspection is so much more than just another step of buying a home: it can be the pivotal one between a great home and a horrible one. Let’s say you bought a home and found out after the fact that your roof has damages and the rainy season is coming up. Not only are you going to have to pay roofing contractors to fix it, but you might also have to delay moving in until the repairs are made. Home inspections aren’t just about finding things in need of repair, but also those in need of removal. Visible evidence of mold and mildew, faulty wiring, and asbestos insulation are just a few of the health hazards that can be found by inspectors before they can injure your family. According to the real estate database Zillow, the average price of a home in Massachusetts is $378,800 with the expected cost to rise next year. For most people, this is the largest single purchase any of them will ever make. It represents a mortgage you’ll be paying off until retirement. It represents the single largest asset you’ll ever have in your possession. But what if that price tag doesn’t represent the actual worth? Speaking of price tags, a home inspection can help you when you’re going to the negotiating table during the process of buying a home. Have a completed inspection report to bring to the negotiation alongside your lawyer and real estate agent can help you make sure you’re getting what you pay for. When it comes to home inspectors, you should know yours is experienced and looking out solely for your best interested. Here at the Homeinex Corporation, we’re not affiliated with real estate agents or contractors, so we’re able to provide non-biased analysis. We offer prompt service and in-depth reporting at competitive prices. Contact us today and enjoy next day service from our veteran inspectors.